Krabi is known to be one of the most beautiful locations of Thailand. Blessed with beautiful aesthetic landscape, exotic scenery, and sand beaches stretching into jungles; it is a province that has attracted tourist from all parts of the world. 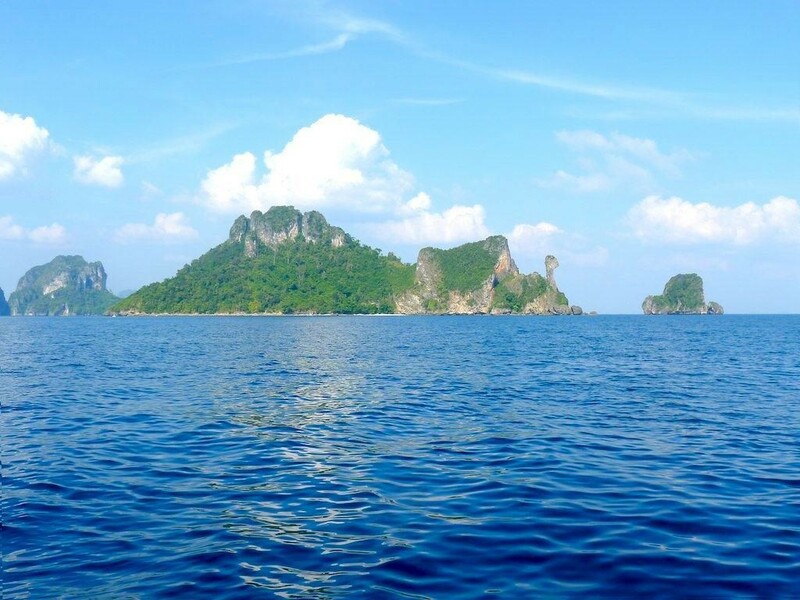 So what is the wait for, if you are planning a trip to Krabi, we bring across a list of the best things to do there. If you are an adventure lover, and like discovering new exotic locations around the world, Railay beaches and Caves in Krabi are your best bet. Being Thailand’s most sought- after beach areas; Railay is South of Ao Nang Beach, surrounded by rocky headland and having limited accessibility. It is a small peninsula, accessible only through boats and is a place of perfect serenity and bliss. Attractions: The white sand beaches, limestone cliffs, viewpoint caves, and lagoon inside these caves. Krabi province is a collection of 200 small islands that lie around the coastline of Krabi. 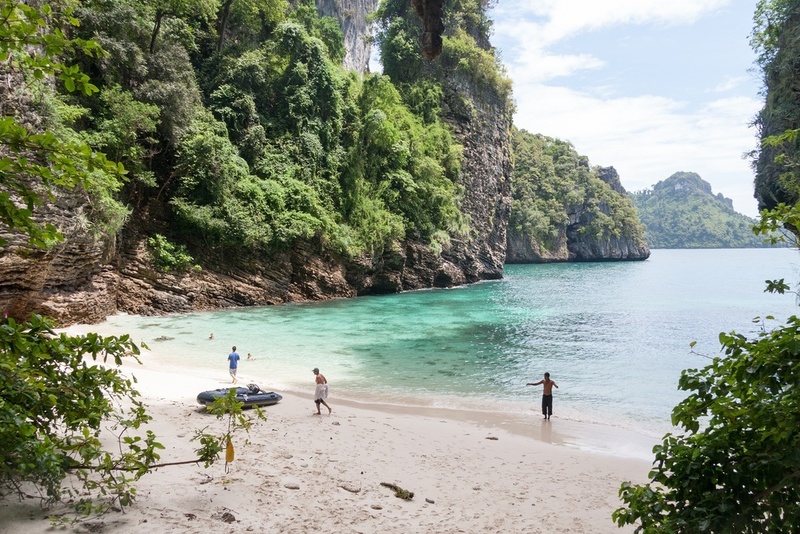 If you are adventurous enough to scale in places which are least inhabited, Krabi Islands are a perfect choice. With limited human indulgence, the place offers a very calm and blissful atmospheric surrounding with beautiful tropical scenes. Island hopping is a famous sport of the place. Snorkeling or Kayaking can also be tried while tripping these Islands. This Province of Krabi is well known for its scenic beauty. Thung Teao Forest National Park offers you a rare opportunity to view nature in its most beautiful and raw form. Krabi crystal lagoon is one such place in the park that should be definitely visited. Trekking the place fetches wonderful experience. Besides, the rich biodiversity of the park is awe-inspiring giving the tourists a beautiful memory of the place. 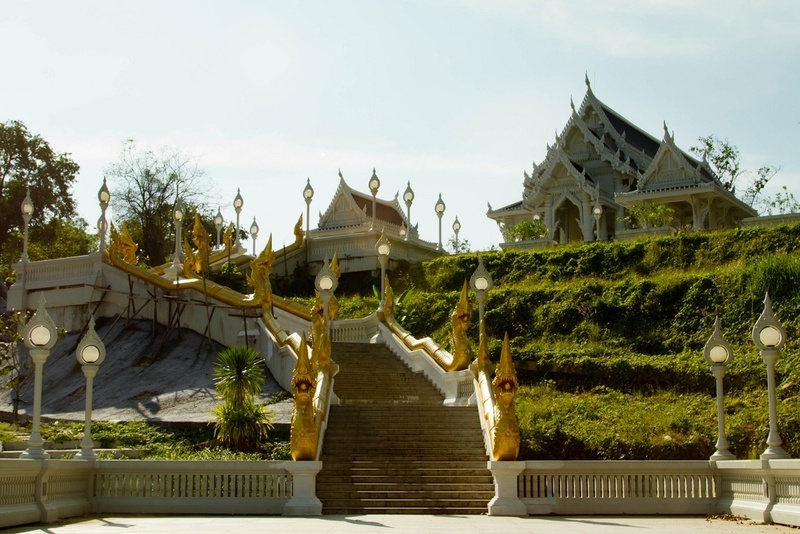 If you are longing to experience Thai spirituality in stunning natural surroundings, the tiger cave temple or Wat Tham Sua is the perfect choice in Krabi. 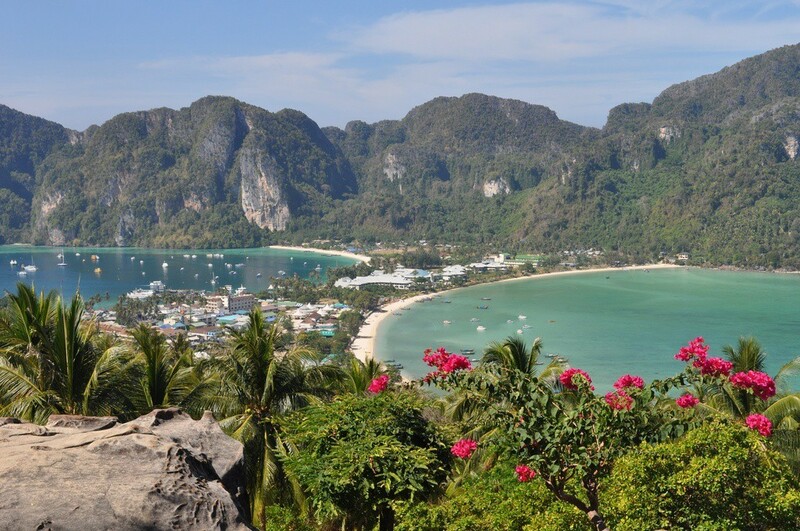 Climb a fleet of some 1237 stairs to reach the temple and get rewarded with an amazing view Andaman Sea, limestone cliffs, and rainforests of the tropics. Just 46 kms off Krabi are one of the most exquisite islands in Thailand and the entire Southeast Asia- the Phi Phi Islands. It is a group of six beautiful islands beckoning you for a spectacular tropical getaway. The beauty of these islands attracts plenty of tourists all round the year. 70 Kms away from Krabi, the Krabi Hot springs are known for their therapeutic and soothing effects. 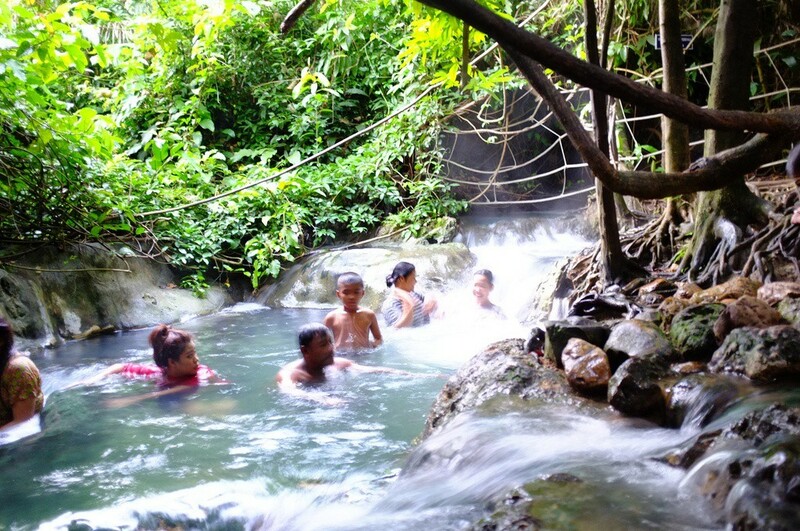 The hot springs are claimed to cure health ailments such as Sciatica and Rheumatism. The hot water averaging a temperature between 35- 40 degree Celsius gives relaxation in a unique sense. 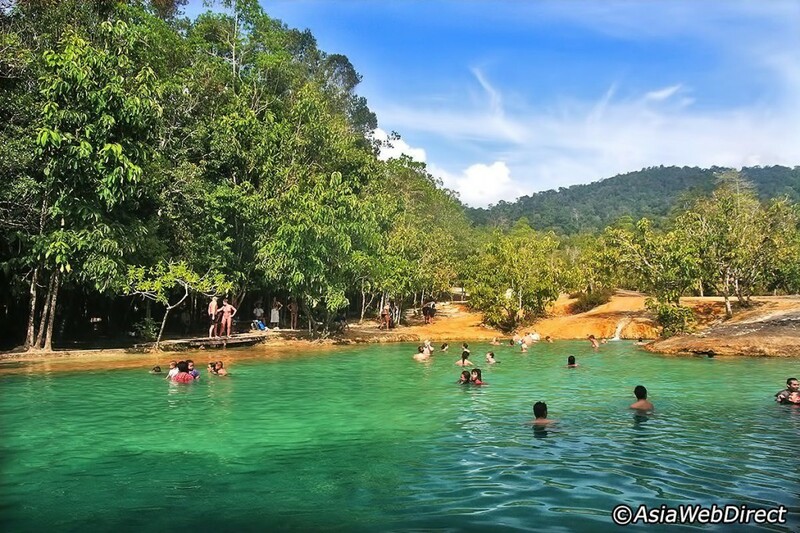 Surrounded by the tropical rain forests these hot springs are a must visit place in Krabi. Attractions: Emerald Pool, Khao Phra Bang Khram Nature Reserve. One of the most stunning landmarks of Krabi is Khao Khanap Nam Mountains that act as a gateway to the city of Krabi. The two majestic mountain cliffs are 100 meters tall and are renowned as a widely photographed beauty spot in Thailand. 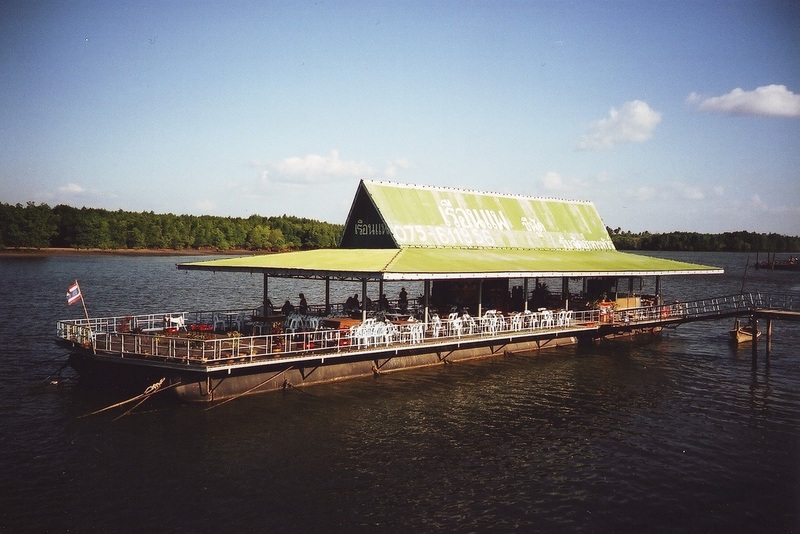 Attractions: Rock Climbing, Mangrove forests, traditional Thai fishing village. 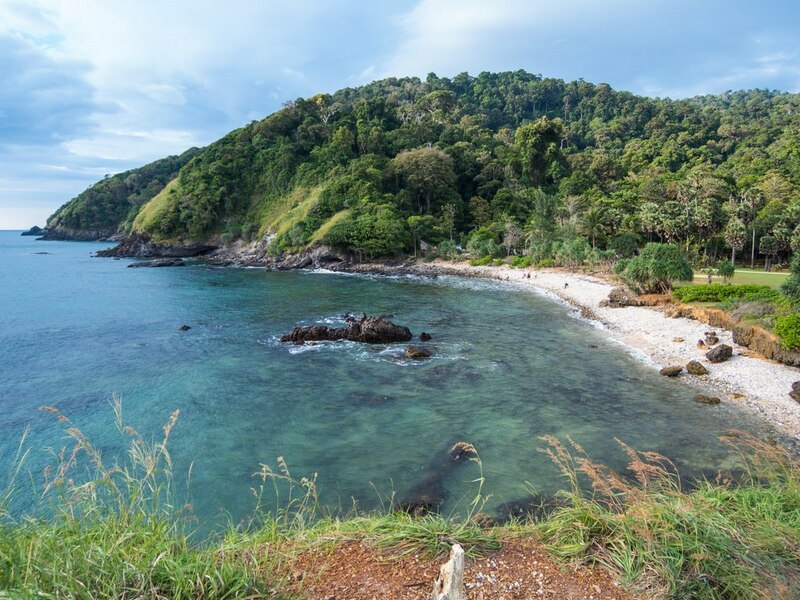 Koh Lanta is a collection of 52 Islands. Located 70km away from main Krabi, it is admired by tourists for its scenic beauty. If you are looking for a peaceful location to relax and feel the atmosphere, the island of Koh Lanta serves you the purpose. 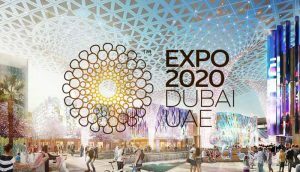 Attractions: Unspoiled surroundings and low key development of the place are its main attractions. For the people who are interested in knowing Thai culture and hospitality, the town of Krabi throws a very rewarding experience to them. Despite growing tourism in Krabi, the place has successfully preserved its charm and features of Thai culture. The peculiar personality of the town is a welcome contrast to the beach areas in the surrounding. 17 kms away from Krabi town is a world known shell cemetery, Susan Hoi, build on a stretch of 200metres of land. The cemetery is expected to be 75 million years old. 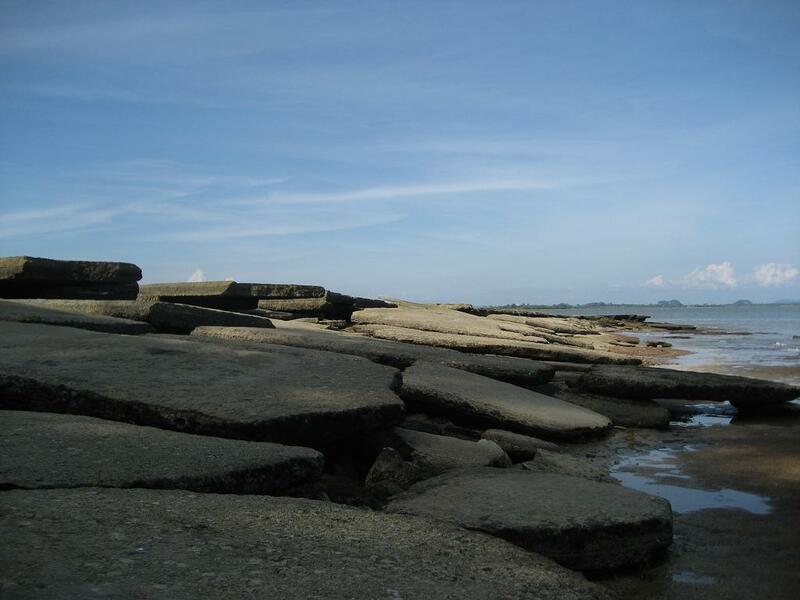 The place is a must visit for people who are thoroughly interested in historical artifacts or Geology. This shell site is one amongst the only three cemeteries of the world. 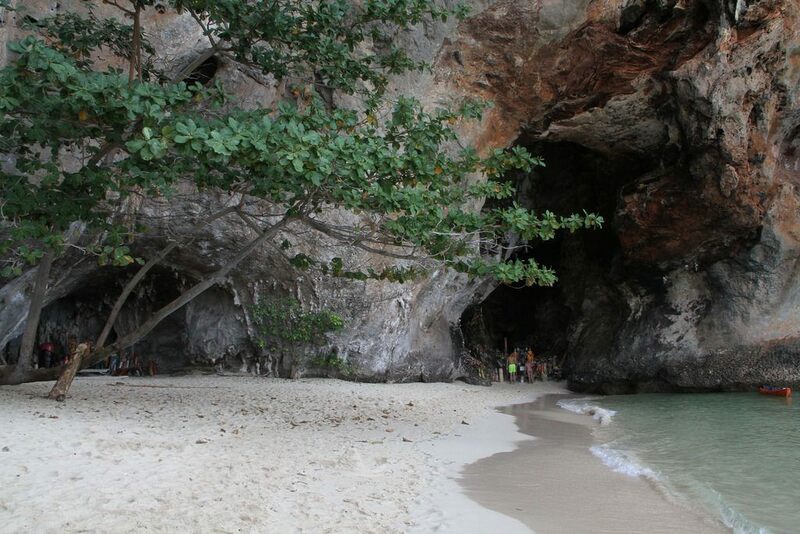 Princess cave also known as Phra Nang Cave on Railay Beach is a popular tourist spot of Krabi. Famous for its limestone rocks, the cave is believed to be the home of mythical sea princess. The Renowned “Phallus Shrine�? 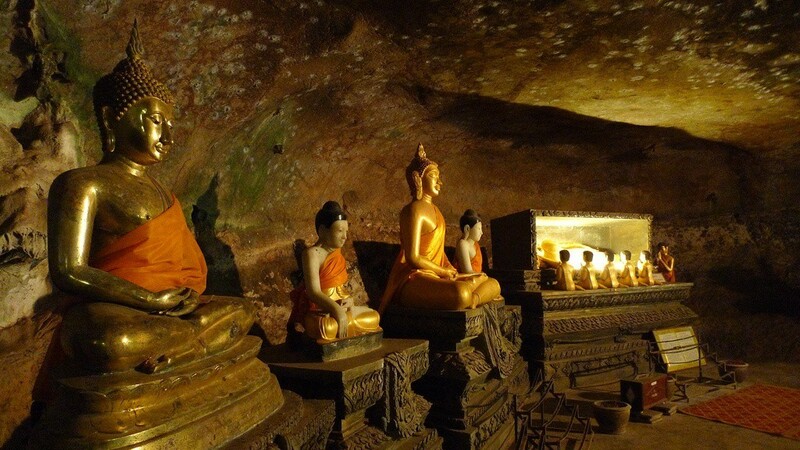 in the cave has got huge religious significance for locales and is a frequently visited place by tourist from all over the world. Located South of Krabi is a paradise of serenity, Trang. The stunning beaches and easy accessibility to the place makes the province a flocked tourist’s attraction. Underwater sports are the charm of Trang. Krabi is brimming with beautiful scenic locations that please the eyes and soul. Looking the unpredictability of Thailand’s weather, Krabi can be best visited between November and April. However, you can see tourists relaxing here for major parts of the year. 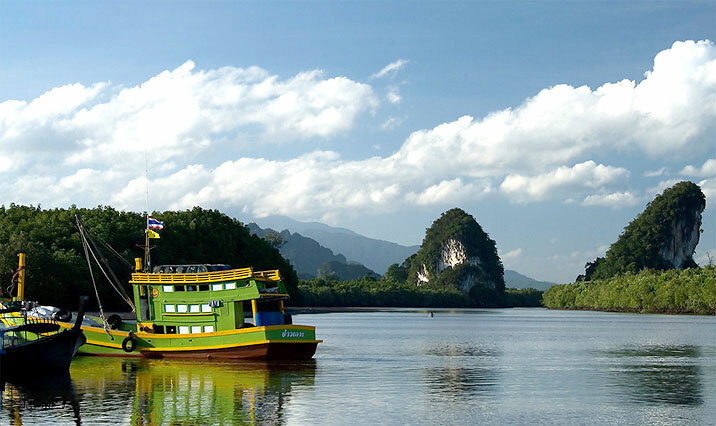 Krabi still remains relatively untouched and has preserved its enchanting charm for years. Krabi and its surrounding areas have a lot to offer. Right from exotic beaches to scenic beauty, adventure and sightseeing, culture and tradition, peace and serenity, Krabi is no doubt a traveler’s paradise.